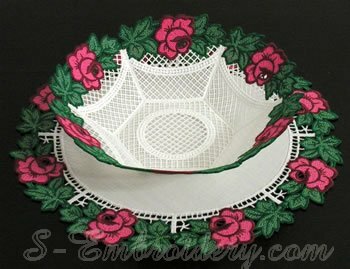 A beautiful set of rose decorated freestanding lace bowl and doily set. 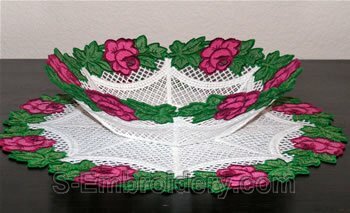 With the set you will create 1 freestanding lace bowl and 2 freestanding lace doilies. 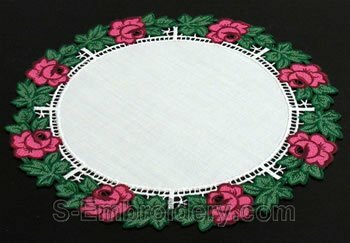 For the center of the second doily you will need a suitable fabric. 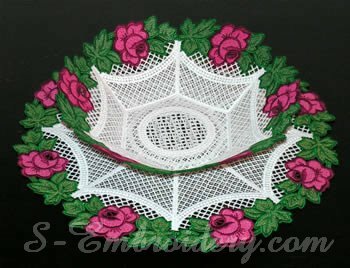 The example doily, featured here, was created using a piece of linen. 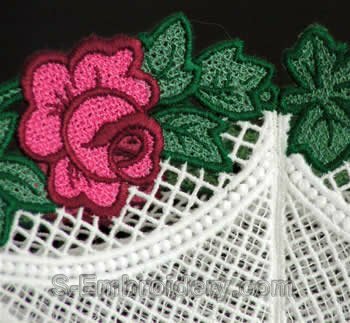 You receive 5 embroidery files as well as instructions in a PDF file. 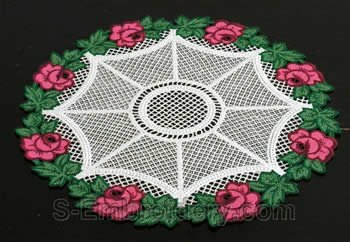 This doily is a combination of a freestanding lace doily side and a doily center made from a suitable fabric.